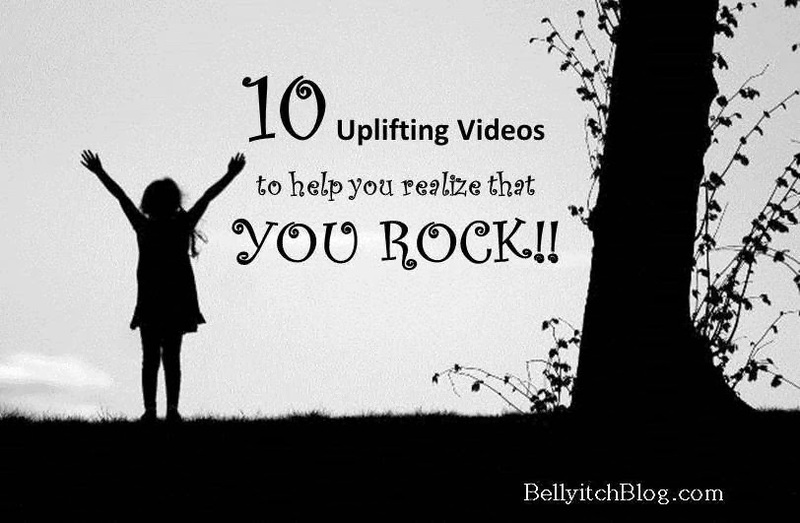 10 Uplifting Videos to let help you realize that YOU ROCK! This is a 2011 Bellyitch rewind post that is timeless hence…we’re resharing it today. Feel free to suggest additional songs or videos to add for when we repost it in the future. 1. First up, is Christina Aguilera‘s “Beautiful” because it does an excellent job of just putting it out there. We all are insecure at some point in our lives even those women who everyone feels is beautiful. 3. Kerli‘s “Walking on Air” because you can’t help but feel it and believe it. The video is a wee bit on the creepy side, but it is visually stimulating. 6. Kelli Pickler‘s “Don’t You Know You’re Beautiful?” just because…it’s a great song and a wonderful video too. 7. MIKA‘s Big Girl “(You Are Beautiful”) is a skinny skinny man celebrating women with curves. 8. Jill Scott‘s “Golden” has to make you feel great! It is very upbeat and empowering. 9. Jimmy Cliff was my favorite artist when I was a child and this song always made me happy. “I Can See Clearly Now” is an all time anthem to positivity. 10. Finally, my favorite artist in the world, Prince’s ode to “The Most Beautiful Girl in the World” – When he sings it, you believe it. A bonus is a new video from a Bellyitch fave, who started her career singing postive and uplifting music, who Stevie Wonder has called “incredible”, the Billboard chart-topping, Grammy-nominated singer-songstress Wayna. This video for the song off her third album, “I don’t want to wait”, feels like a sweet summer anthem. You can feel the sun kiss the back of your neck when you listen to it. The video is an ode to the underdog, who triumphs. Love it!